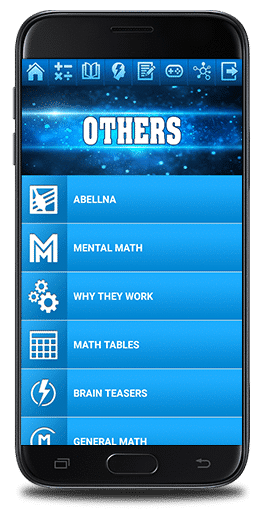 Click image to watch Abellna mental math app video. The Abellna mental math app is not sold on our website. It is sold on Google Play, amazon, and Samsung. 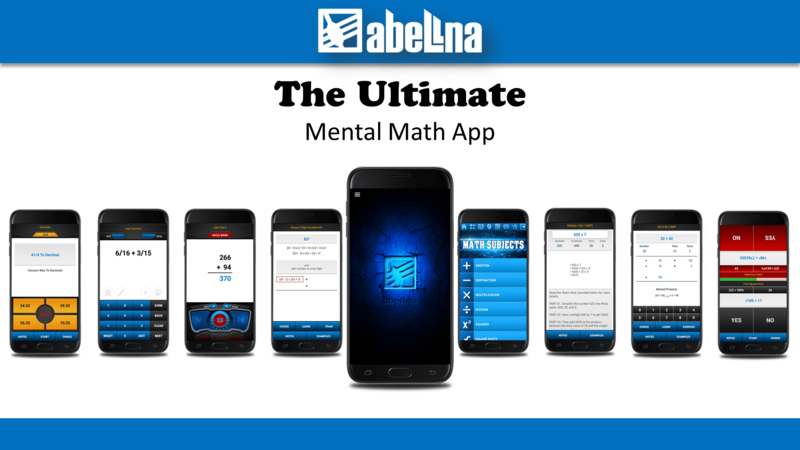 The ultimate mental math app from Abellna , designed for anyone from ages 7 to adults, has the most comprehensive material for learning mental math techniques or shortcuts. 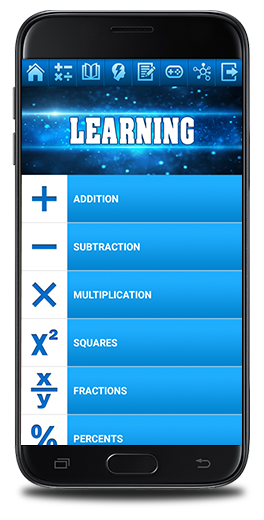 Useful in increasing your math skills no matter what level of math you are at and improving your memory, this app can also help you in many other ways besides the math benefits. The app, categorized into six major sections, comprises of about 580 menu item selections to choose from, providing you with the best equipped mental math tool at your disposal. 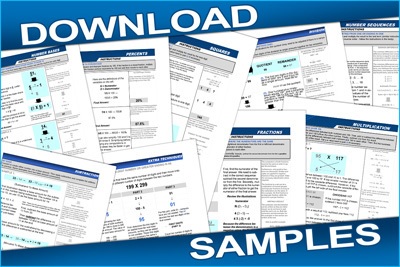 Included are many of the of the mental math material from the two Abellna eBooks. Currently, the app is based on the Android operating system, making it applicable to most android smartphones and seven to ten inch tablets including Kindle devices running Android. 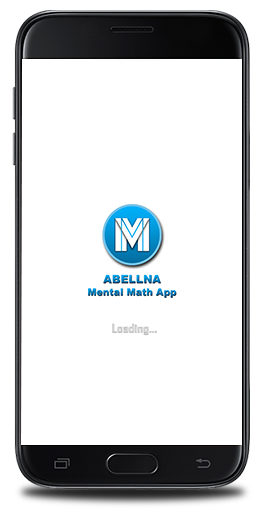 You start the app by pressing the Abellna mental math icon launching the splash screen and within a few seconds the app advances to the home screen. 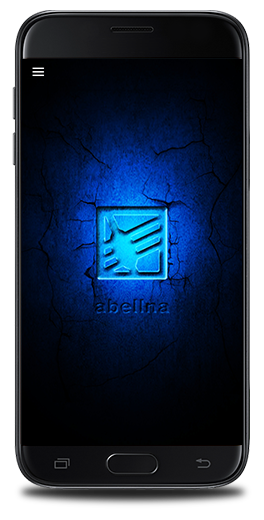 The home screen with the Abellna logo appears once the splash screen completes loading. The six main menu items for the six different sections reside here. With your finger(s) press down on the leftmost side of the home screen and swipe right or press the three horizontal bars on the top-left corner of the screen to display the main menu items. 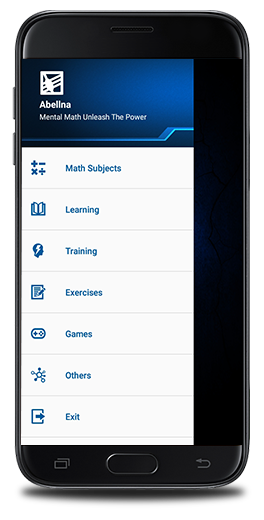 Shown right below are the six main menu items denoting the six major sections: MATH SUBJECTS, LEARNING, TRAINING, EXERCISES, GAMES, and OTHERS. Within each of the six main sections are submenus of math subjects and below them are listings of sub-items consisting of the links pointing to the techniques for the corresponding math subject(s). For example, in the MATH SUBJECTS section with the first submenu of ADDITION there are subitems of links under it referencing different programs representing the techniques. Below are screens shots of the six main sections of the app and explained in details later on. The six main menu for the different sections, Home, and Exit items are located at the top of each main section for easier navigation. 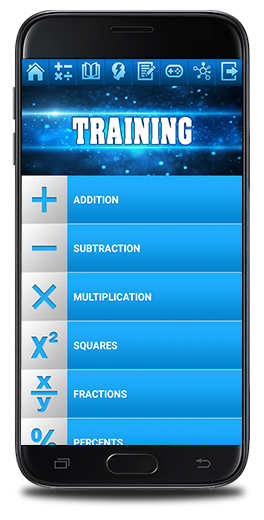 The TRAINING section covers the same math subjects as in the LEARNING part. Here, some parts are automated and in other parts you will need to filled in the answers. 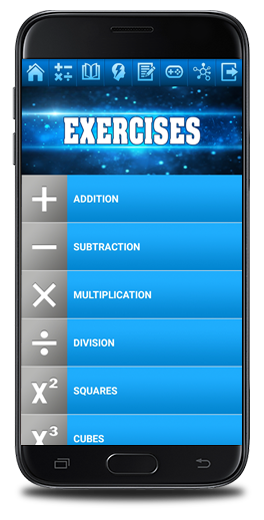 The EXERCISES section consists of several math subjects as well. This section allows you to practice different techniques at your own pace without any time restrictions. 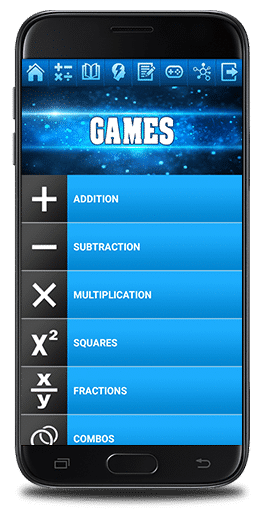 The GAMES section covers different games on several math subjects. These games are excellent for testing your understanding including enhancing your knowledge of mental math. 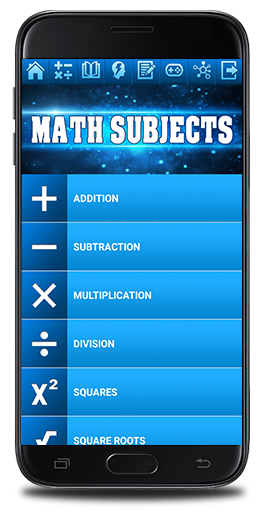 The OTHERS section consists of different items including basic general math concepts, math tables, more games, and other material on both mental and general math. Get a part of the Ultimate Mental Math Learning System! Enter your name and email address below to receive your 22 Mental Math techniques. All information on this website is owned by www.abellna.com. Images, lay-out, text, illustrations, videos, articles and any other items on this website are protected by copyright. All rights reserved. No part of these sample publications may be reproduced, in any form or by any means, including photocopying, recording, or other electronic or mechanical methods, without the prior written permission of www.abellna.com or the publisher, except in the case of brief quotations embodied in critical reviews and certain other noncommercial uses permitted by copyright law.